Here’s my almost finished product. I was just drinking away and nearly forgot to document this. That’s my Breville Juice Fountain Elite. I just love, love, love it! I juiced kale, 2 lemons, ginger, 3 apples, and 2 cucumbers. Delicious! I have several Breville appliances in the kitchen! They are all workhorses!! You do! 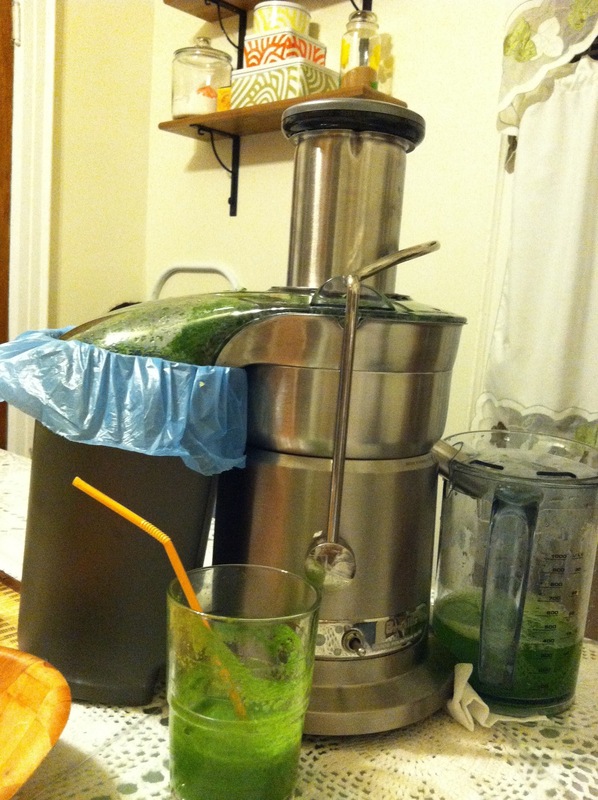 I just have my juicer!! What else do you have? I love to juice, bake and cook! truly enjoyed surfing around your weblog posts. After all I’ll be subscribing on your rss feed and I’m hoping you write again very soon!